Newcastle Tiling offers a fast, affordable and friendly service of tiling in Newcastle. We have all the knowledge and skill as well as all the advanced technology and tools to get your job done right at the first time. Our professionals are highly trained and experienced to take up any type of tile removal efficiently, whether small or big. We can remove any kind of tiles such as Ceramic, porcelain, slate, travertine, marble for your bathrooms, patios, walls, kitchens, splash backs, entryways etc. You don’t have to even worry about removing your old, ugly tiles as we can remove them promptly. 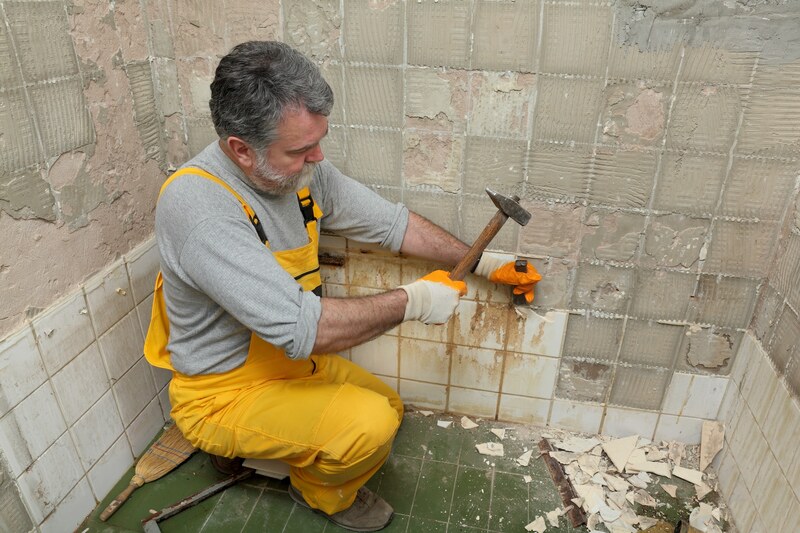 Our thorough experience in a wide range of tile removal services in and around Newcastle enables us to provide quality service and workmanship that is second to none. We always aim to achieve our customer’s full satisfaction so we listen to them carefully to understand what they need exactly. We always deliver our service that is of highest quality as well as suits the budget and time of our valued clients.